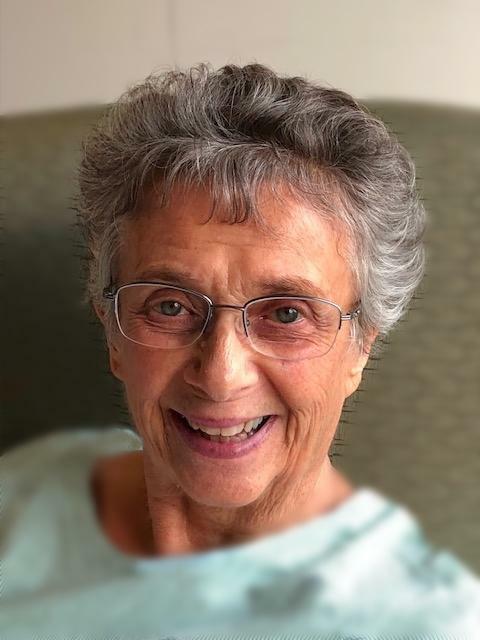 Sandra Ann (Wilson) Riggins, of Macomb, Illinois, passed away at 3:52 a.m. Saturday, February 2, 2019 at her residence, surrounded by her children. She was born March 18, 1940 at Phelps Hospital in Macomb, Illinois to Wendell Harold Wilson and Mary Elizabeth (Irey) Wilson. She lived all her life in McDonough County. She married Roger Lee Riggins on August 27, 1960 at First Baptist Church in Blandinsville, Illinois. He preceded her in death on April 27, 2016. She graduated from Western High School in 1958, and from Western Illinois University in 1962, with a degree in Elementary Education. Surviving are her daughters Cindy (David) Lueck of Macomb, Debi (Byju) Mathew of Ottawa, Canada, and son Rick (Flesscia) Riggins of Germantown Hills; grandchildren Erin (Jim Cutright) Lueck of Fort Wayne, Indiana, Tyler (Katrina) Lueck of Bloomington, Illinois, Matthew and Andrew Lueck of Macomb, Lexie, Sierra, and Ravi Mathew of Ottawa, Canada, Skylar (Ethan) Dusch of Washington, Illinois, Chaz Mercer and Addison Riggins of Germantown Hills, Illinois; great-grandson Carter Lueck; brother Bill (Denise) Wilson of Springfield, Illinois, and sister Jane (Dennis) Hoerner of Aledo, Illinois. She was preceded in death by her parents, and two brothers, Joe and Dave Wilson. She worked at Wilson Hatchery in Blandinsville, and taught first grade in Bardolph for three years. She operated a home daycare and preschool for 42 years, and taught preschool at Immanuel Lutheran Church for three years. Growing up, she was a member of First Baptist Church in Blandinsville, where she taught Sunday School. She was a member of First Baptist Church of Macomb for 57 years where she was very active as a Sunday School teacher for 30 years, served on the board of education for 30 years, and was treasurer for 10 years. She was an avid reader, loved crafts, cards, stamps, and sewing. She enjoyed many summer vacations with family in Branson, Missouri and the Ozarks, and trips to Washington, D.C., New Orleans, New Mexico, Arizona, Canada, and New England. In later years, she took trips with husband Roger and his mother and siblings to the Wisconsin Dells, Branson, and Mt. Airy, North Carolina. Most of all, she loved her family. Visitation will be held 5:00 to 7:00 p.m. on Friday, February 8th at Clugston-Tibbitts Funeral Home in Macomb. Funeral services will be held on Saturday, February 9th at 11:00 a.m. at First Baptist Church in Macomb, with Pastor Claudia McCain officiating. Private burial will be at a later date in Camp Creek Cemetery, south of Macomb. The family requests in lieu of flowers that memorials may be made to the First Baptist Church building fund.